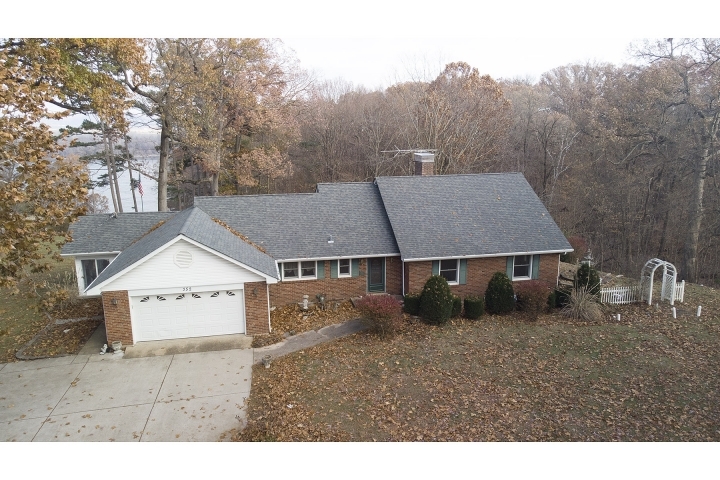 You will not want to miss this quality built, well maintained brick home w a river view that sits on 2 lots with almost 2 acres! Unwind in the large great room with cozy full stone masonry, gas fireplace, hard wood floors & wall of windows that overlooks the woods & the calming view of the river. 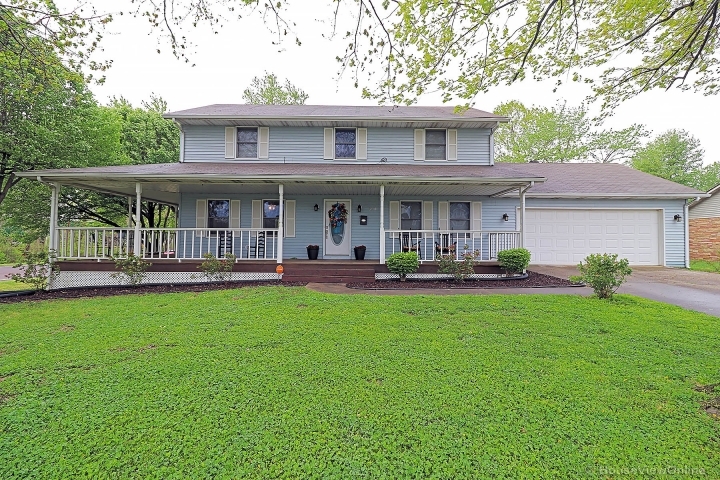 Watch the barges meander by in your three season sun room or relax on the huge paver patio out back with room for lots of family & friends & ample parking with the circle drive. The 3 bedrooms all have hard wood floors & cedar lined closets. The loft area has so much extra space that is just waiting for the new owners to make it their own. The loft would be a great craft room or play room for the kids. Did I mention the loft also has hard wood floors? The eat in K has an island for extra prep, pantry & a separate formal DR w hard wood floors as well. The furnace & AC were replaced in '17. The lower level offers abundant rec space, large family room featuring a stone masonry, wood burning fireplace, large laundry room with sink & cabinets & counter space for folding.